Home Sales in Lake Arrowhead picked up a bit for the month of February. January had started out a bit slower than normal and looks as though February closed sales are back on track. We are seeing a decline in our inventory but that is normal for this time of the year. We will usually see an uptake by the end of March in active Home Listings. 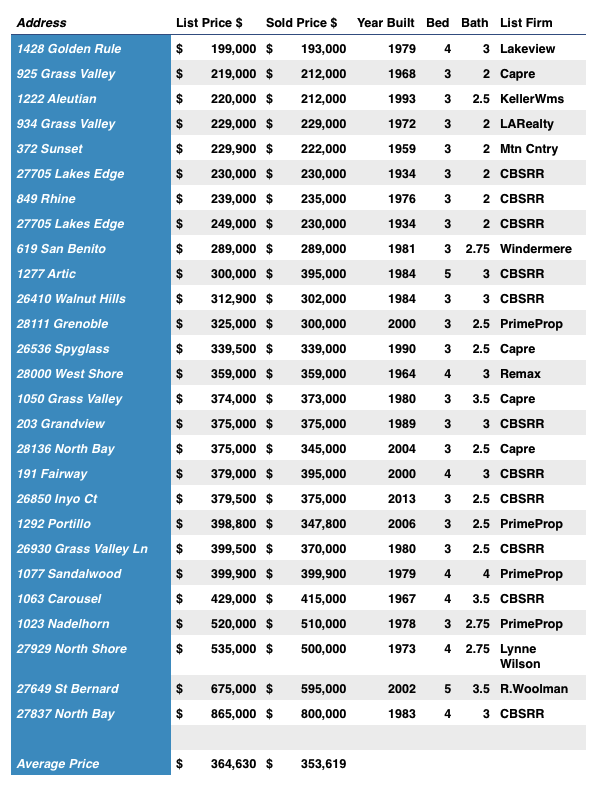 Currently there are 38 homes pending in Lake Arrowhead Real Estate, prices ranging from $164,900 ~ $1,599,000. ← Lake Arrowhead Lifestyles® This Week!